We had a spectacular time photographing Caroline and Wyatt’s Greenbrier Resort wedding weekend in White Sulfur Springs, West Virginia. 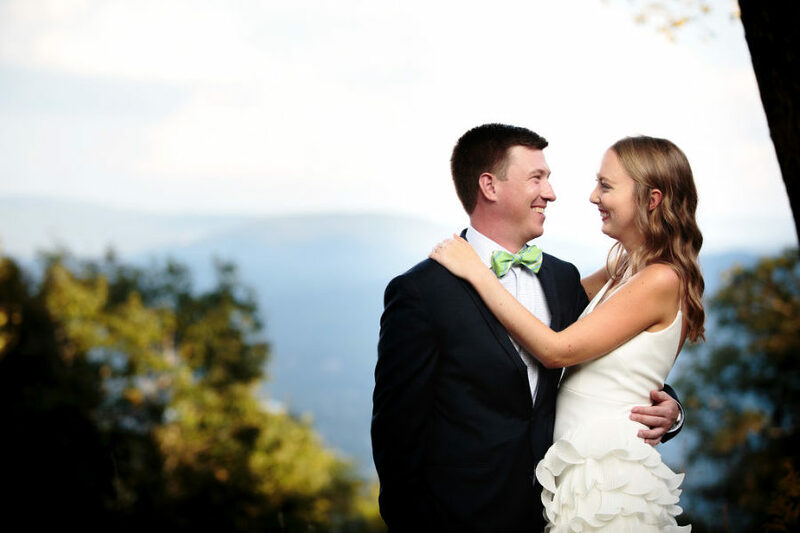 We started our weekend with photographing their rehearsal dinner at the Summit at the Greenbrier Sporting Club with a stunning view of the valley below. Following an evening of dinner and speeches, we met our couple and their friends and family for a welcome party on the Colonial Terrace of the hotel. With our friends at MotionWorks Films, we started with preparations for the wedding the next morning in the Princess Grace Suite at the resort with hair and makeup be completed by the amazing team from The Greenbrier. Caroline wore a stunning Anne Barge gown paired with adorable Kate Spade heels. The gentleman prepared for the wedding in the locker room of the Golf Club after a morning of shooting at the Greenbrier’s shooting range. Our couple exchanged vows in the stunning chapel on the ground of the Greenbrier. The evening continued with cocktails, dancing and spectacular food in the Cameo Room of the resort. At the end of a spectacular evening, Caroline and Wyatt enjoyed spending the rest of their evening at the hotel’s casino with their family and friends. Congratulations Caroline and Wyatt!